Massey University Fire & Circus: Showing a flirtatious side. 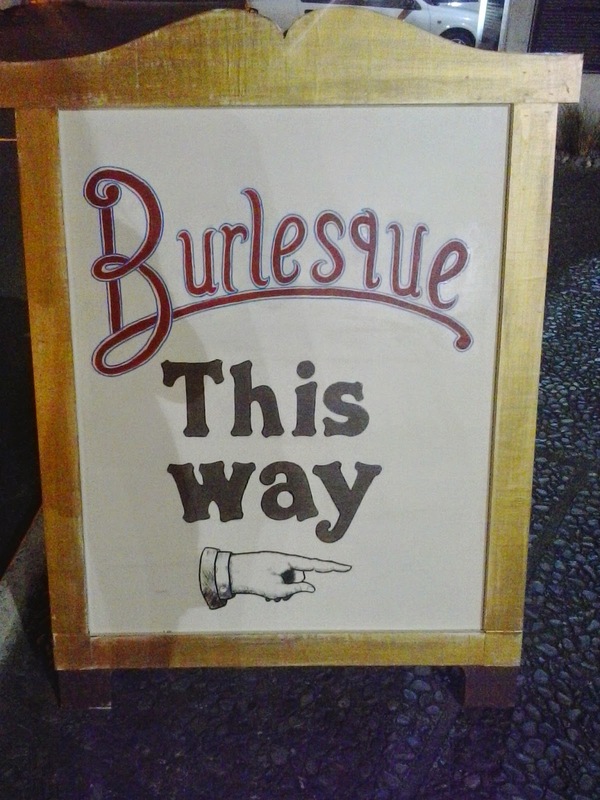 Thursday evening we had the fantastic fun opportunity to get our skills out on display, in a professional PG manner of course ;), at the entrance of a the Globe Theature in Palmerston North to welcome people to a Burlesque Show! Staff, poi, fire eating, body burns, rope dart, knife throwing and even a bit of hula hooping. A lot of laughs, fire and of course fantastic costumes and attire to fit in with the theme of the night. We even had some ladies dressed to the nines have a go at knife throwing under the safe guidance of Ty and Scott. No one lost any fingers or toes so I call that a success! A small tip to all of you lovely ladies out there who are a big fan of fire poi: it is very very difficult to do a ground burn when wearing a steal boned corset, turns out you cannot bend down far enough to actually complete it. Also try make sure it is a cotton not polyester/satin corset, slightly less of a fire hazard. On the note of attire up we also had some very dapper looking fire spinners in suit and tie, I do approve! And thankfully we were all dressed up a little as we were later invited to watch the Burlesque show. An eye opener indeed but we found a commonality- seen as we both come from fiery hot background. Great night all round! And the show is on again tomorrow night! Pop on down if you get the chance.